Tony Marlow (singer, guitarist, drummer) has been spearheading the rockabilly revival in France and has made Rock and Roll an art of living for over 40 years. With his previous bands (Rockin' Rebels, Betty and the Bops...) he played all over France, opened for the French Stray Cats tour in 1981, got a hit with Branche le Poste in 1984, played with Carl Perkins, Scotty Moore, James Burton and accompanied the great Janis Martin in 2005. 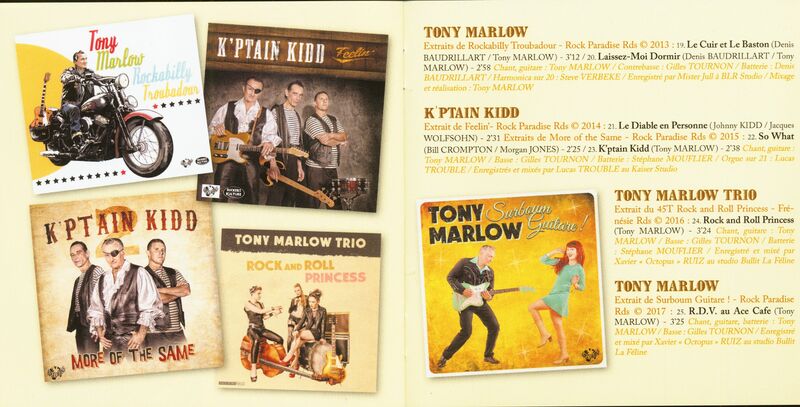 After the success of the CD/DVD'Kustom Rock and Roll', and the explosive mix of Rock and Roll Trash and Rockabilly Garage that make up the CD'Knock-Out', the 25 cm format vinyl See You At The Ace, Tony is releasing an explosive opus (!) 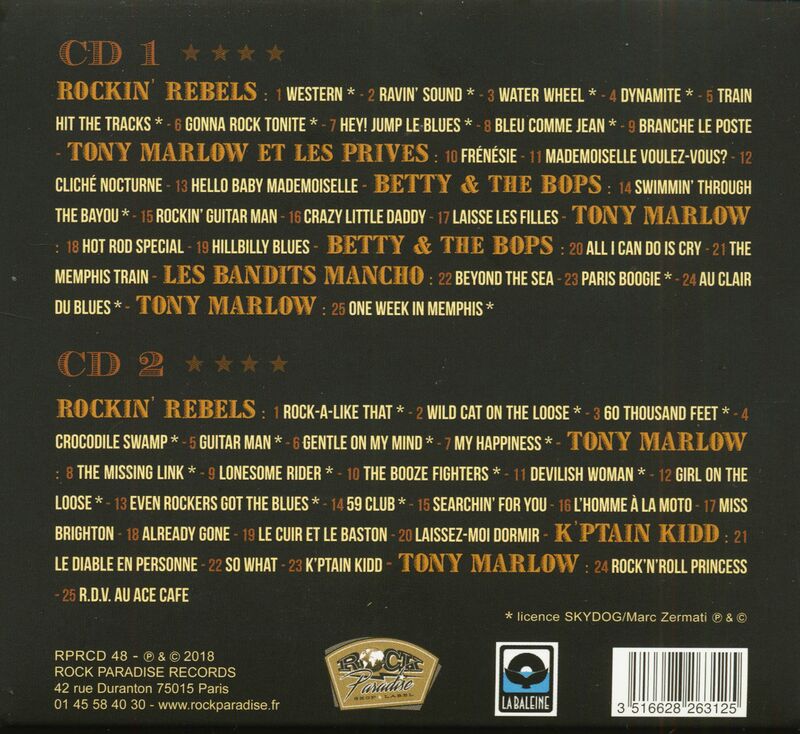 on Rock Paradise in French and Corsica; Rockabilly Troubadour. Go Tony Go Go!!!!! 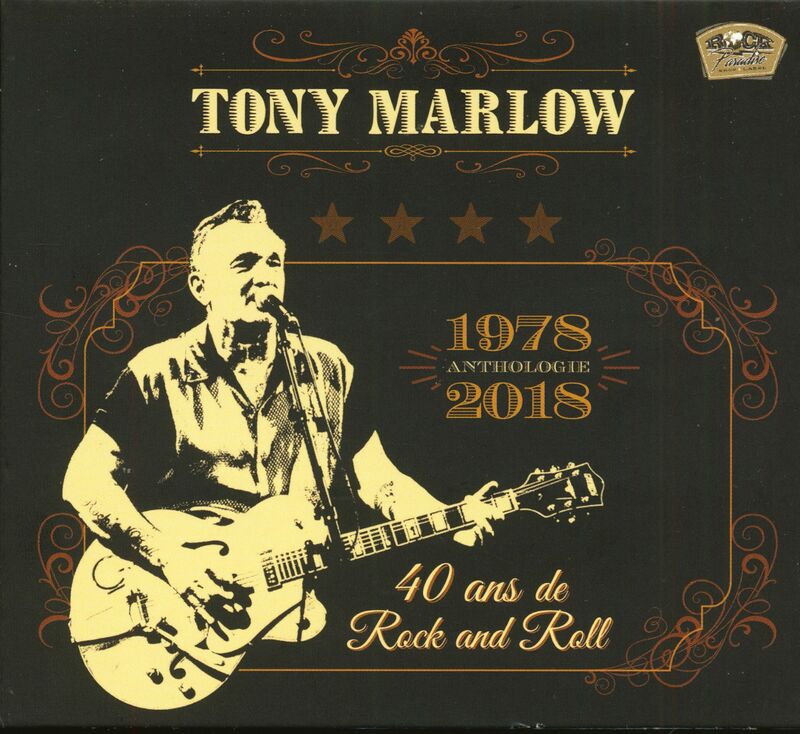 Customer evaluation for "40 Ans De Rock And Roll - Anthologie 1978-2018 (2-CD)"